Bankruptcy can stop debt collection immediately and eventually wipe out debt for good when someone just does not have the income to pay the debts as agreed. It provides an orderly way for creditors to share monthly payments for higher income debtors and provides a way for them to share property in cases where it can be sold to pay them something. However, in most cases a debtors income is too low to make any monthly payments and they get a quick fresh start in a Chapter 7. In addition, most people do not have enough property to sell to pay creditors. Everybody has some property and people considering bankruptcy wonder whether they will have to give up any of it to pay their debts. 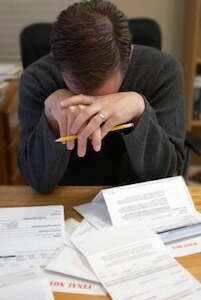 Bankruptcy law provides exemptions that protect property from being taken. The idea is that debtors need necessary property to rebuild their lives. Obviously debtors probably need a car to get to work. The law also protects retirement savings – retirement accounts are 100% safe in bankruptcy. Of course, debtors need their basic household goods and a house to live in. The exemptions are broken down by law according to the type of property a debtor has. The law also allows for a wildcard exemption that can be allied to any property a debtor has. The wildcard exemption can back added to other exemptions – or “stacked” on an exemption that specifically protects a piece of property. Married couples stack their exemptions on any joint property they own. In Washington, debtors can choose either federal or state exemptions. These exemptions are fairly similar. Perhaps the biggest difference is homestead exemptions and wildcard exemptions. Washington law protects $125,000 in home equity. Federal law allows up to $11,975 in wildcard. People who do not have any home equity almost always choose federal exemptions. Both provide about $3500 for a car. People potentially have property they do not even know about, such as the right to recover money in a law suit. The list of exemptions and potential property is long and it is good idea to consult an attorney about the result of filing a bankruptcy. If someone is making payments on property they can usually keep that property as long as they can keep making the payments. In a Chapter 7, you just keep making the payments. In a Chapter 13, the payments are consolidated in a Chapter 13 plan. Chapter 13 can also protect property that may be sold in a Chapter 7. To keep unexempt property, you can pay creditors enough to cover the money they would have received if the property was sold. For instance, if someone inherited part of some real estate with their brother and their share is worth $30,000, they can pay approximately $500 per month for five years to pay the $30,000 rather than being forced to sell the property.